Trying to practice yoga when you’re on the road and traveling is not always easy. 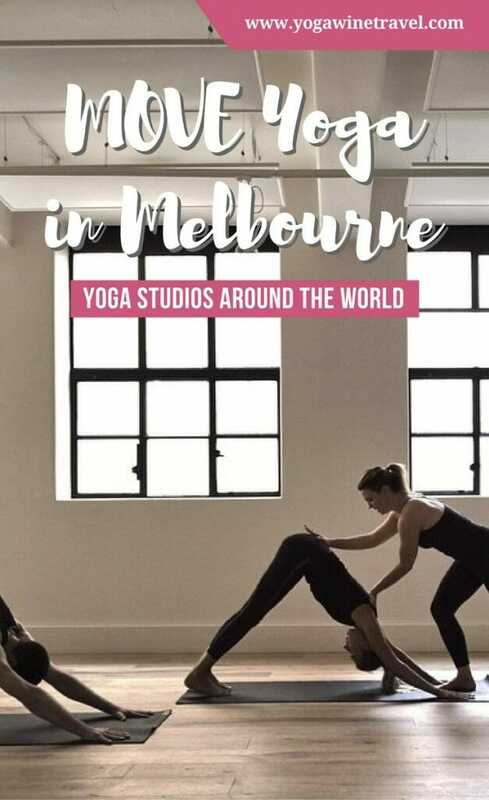 I’ve written in the past on how to choose a yoga studio while you’re globetrotting, and I thought it would also be worth writing a little about my experiences at various yoga studios around the world. Earlier this year, I visited good friends in Melbourne and had plenty of time to wander around during the day while they were at work, so did a little bit of research ahead of time to find a good studio I could practice at in the CBD. I love practicing in a studio with others, but practicing physical Yoga poses are not the only way to get your fill of Yoga while you’re on the road! 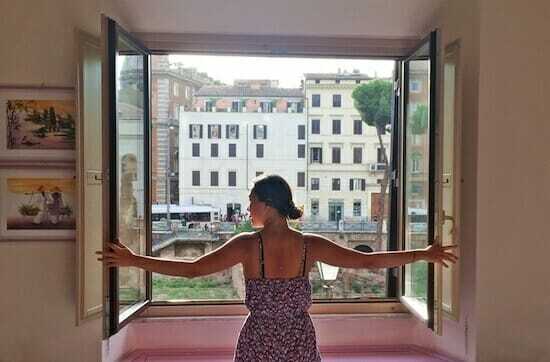 Click here for 20 easy ways to incorporate Yoga into your travels! 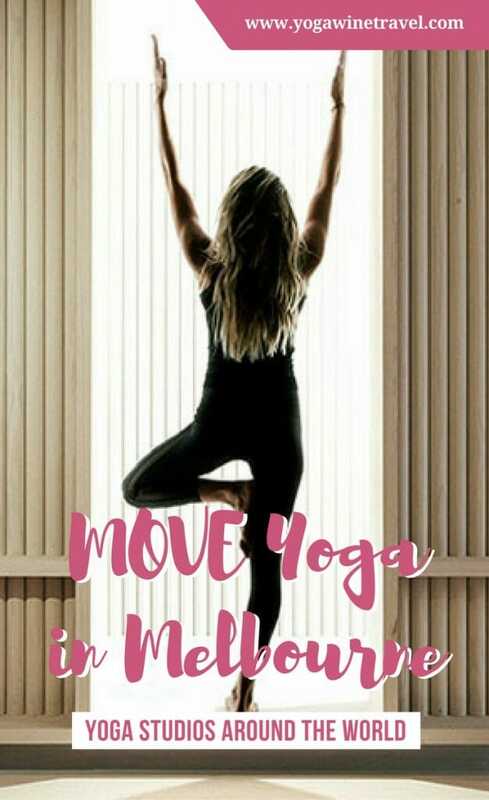 I looked at various studios and eventually settled on Move Yoga, a hot yoga studio that offered lots of classes throughout the day and express 45 minute classes around lunch time. I managed to attend 3 different classes during the week I was in Melbourne and will definitely be back the next time I’m in town. The studio is conveniently located on Flinders Lane, a hop and skip away from Flinders Street Station, one of the main train stations in Melbourne. The space itself is clean and simple with two studios, and it’s a lovely haven in the CBD with lots of light coming through the large windows. 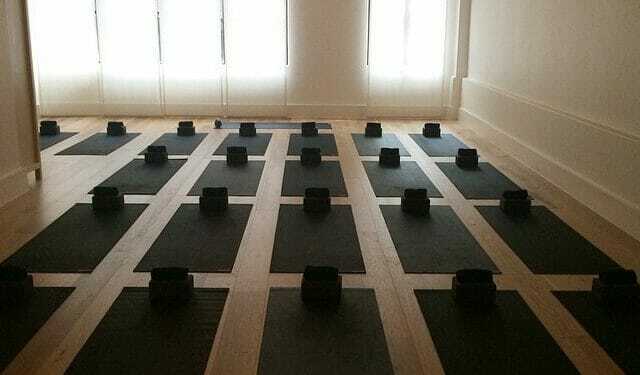 There were about 15-20 students in each of the classes I attended, and the (brand new) yoga mats were cleaned and laid out at the beginning of every class so you don’t have to shuffle around. The two instructors I had classes with were extremely friendly and encouraging (Collin Poole and Masha Gorodilova) and although hot yoga can be truly torturous at times, I enjoyed (almost) every minute of the classes. The facilities are absolutely top-notch with lockers in the changing room that you can store your belongings in, and you can ask for a towel from the front desk if you plan on taking a shower. You should always shower after hot yoga. Always. The showers and bathrooms were brand new and shampoo/conditioner is provided, as are hairdryers and GHD hair straighteners (!!!). Visiting Melbourne? Why not head to the Great Ocean Road for a day trip? Read my travel guide! Pricing is slightly expensive at AUD25 per class, but this is actually on par with other yoga studios in the neighbourhood. The studio offers a new student offer for two weeks of unlimited classes, as well as 10-class packages if you’re in town for a little longer than a few days. You can book and pay for classes via the MindBody Connect app, Move Yoga’s own app or their website.